The 19th annual 24-mile Tampa Bay Marathon Swim was stopped mid-way by high winds. "With winds that gradually increased, the conditions led to a change of the cross-bay swim to a safer triangular contingency course. 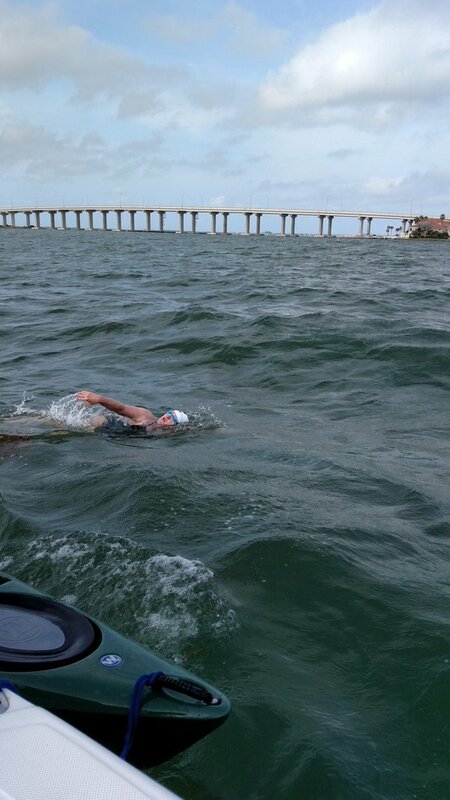 But after battling for almost three and a half hours on an alternate, sheltered course, we halted the marathon swim due to safety concerns for the swimmers, boaters and kayakers," describes race founder Ron Collins.